For the holiday collection there were variety of color that were bound in a set that were sold in the home shopping for 1+1. These days in home shopping the trend seem to be functional products. They advocate functional foundation products. The name itself is anti aging foundation!!! All the products that I am going to discuss today have SPF on them. The number SPF is low and the product is for making the skin texture even so can't be applied for several times. So don't be depending on it. But just be reminded that they have been made it carefully. The case of Croquis is the best and should accept it. Korea case is number one! Aside from the design the function of the case can be representing the Northeast and be challenged in the world market. I really want to say it’s the best. In the cover there is a sign that says open and twisting about 2cm towards the sign saying open. It’s a new design. Water can’t go through the cream palette so how much oxygen is it going through?? I have some dissatisfaction with the sponge. Comparing to other sponge it’s stiff. The sponge absorbs the content too much and comparing to absorption it doesn't really come out. Application is fine to the face but the sponge is too stiff that makes it difficult to apply. There are two colors #21 for fair skins and #23 for dark skins. Comparing to other brands #23 is little bit different even though it is same number. But when you apply it is little bit lighter than it looks. In the case of fair skin it could work as a cream type-shading product. Applying all over the face is possible making it look healthier. However it is better to use #21 for fair skins and #23 for darker skins. The important is the content. It is dry. I don't have dry skin but also applying to my skin makes it dry. It makes all the keratins to rise near the chin line and in the inner cheeks. In the lower part in the right side, it states that it is SOS foundation meaning it’s like a primer. It covers the wrinkles little bit and contains some oil that calms down the keratins. So I tried it but it makes it worst so I had to spray some mist to clam down and even out the skin tone. For the dry type skin I don't recommend but for mid oily and oily skin type it’s worth trying out due to lower price because the texture is light first of all and the color itself isn't bright but able to cover red blemishes on the face. They keep producing darker tone products that work for the public. For mid oily and oily skin types having fair tone could try out for shading. It doesn't contain reddish color that is perfect for shading and doesn't create marks. For me I think I will use this product until I can see the bottom of it. After I do skin caring system in the hospital there are some red blemishes so applying it very lightly brings down the tone of the face making it look calm. Making my face bright and using this foundation for shading is perfect and it is more moisture than using the powder bronzer. I ready throw away the sponge. I use Piccasso brush FB16 brush for shading and Piccasso brush FB 15 for over all face. In the case when you received a cream foundation as a gift or bought it yourself and it’s too dry to use it, it is more convenient not to use it. But when you feel like you wasted your money, try to balance out with base makeup and mist but there are a limit to it. Using enough moisture product like Mac strobe for base is much helpful in applying the cream foundation. In fixing the makeup, try to use mist or moisturizer to prevent from drying up. Instead of using the sponge use brush to be more moisturized. I was waiting for this before it was launched. My biggest interest was the CASE! Even this time would they make the case like before making the content to dry up? Like always there was a silver cover. When I look at it with my eyes it made me think that this product will dry up too. I asked to Mac employer and she said its Vacuumed Case. At that time there was a silence between us. Wow what is this? She was so proudly saying like as if she was a woman commander in the war place making my knee wanting to kneel down towards her. Vacuum meaning?... does it mean there aren't hardly~~ any oxygen? Is that it?? I too much~ under estimated the technique of MAC. Inside the single Mac foundation case there was like a ‘Universal Mystery’. What? isn't it a vacuumed case? When I touch the cover there is little bit of gap between the cover and the bottom making it wobbling. I could see the oxygen going in and out~. I said I can't believe it is vacuumed case; the employer said that even placing a wet tissue won't dry up. Of coarse wet tissue doesn't really dry up even in the plastic bag. So even wet tissue doesn't dry up it means it is in air free compartment?? At least there is some consideration like the case of Croquis you should say something like it is vacuumed in terms of Croquis’s case. In the photo, I tore off the silver cover only to half way and tried to use it. But it was too uncomfortable so I had to tear it all off. From than on I used as much as I can for every day. When I checked it today without using it for some time, there were about 2cm wide crack on it. However it won't be a problem in using it. So I started from today to use it again. I have no more words to talk about the case. It is up to you to judge the case. Ok. Lets see the inside. I asked for the brightest NC15 but the product colors are brighter so I bought NC20. I should have pick my own choice.... When I tried at home there wasn't any brightness on the face but just so natural. This product is mineral added moisturized formula to create cream foundation. I think most of you guys heard about mineral powder making the skin possible to breath. Even mineral particles add shine to the skin. At times there was about to be a trend for mineral powder...and some talk going on with brands but there is a reason why it wasn't that much popular. Even though it stated all the positive comments about it, customers felt too powdery with gave unpleasant feeling. Some people who have sensitive skin could feel this dryness and lead their skin eventually to dry up. So I don't recommend this product to dry skin. It easily brings up the keratin and wrinkles. The moisturized feeling is less than Studio tech as I expected it is true for the mineral. The finishing is not definitely moisturizing but calms down the skin. Also there isn't any brightness to the face but makes the face tone healthy (not the texture but the tone) satisfies by giving light feeling. Lively skins that Mac is saying can be achieve by people have fine skins from the first place. So it is mostly for like models that Mac is referring to. For the people have so fine skin or base makeup is strongly place can barely makes the skin look shining and healthy. Of coarse this type of people doesn't need to much of money to be spend on. Even placing a mud in the face would look pretty. The coverage is just normal. It can be applied very lightly and overlapping the place where it needs coverage is possible and clears the skin tone. However it is hard to perfectly cover the red blemishes and blotches on the face. Any way I can't use this product without Mac strobe especially during the winter. I want to use this until the summer time but I think this product will dry up. I will try my best to see the bottom of it. Considering the case, have to be careful in using. Like in the winter time if you bring out side and give big difference in temperature leads moisture to evaporate and makes the mirror foggy. When you open it, the foggy disappears perfectly and like in this procedure the moisture will dissolve into the air. When Mac launched this product it came with a #130 brush. I tested the product and there wasn't much difference between the sponge and the brush. The thickness varied. The brush didn't have any support so for the people who gets blotches on the face like me is no use. It is much better to use flat foundation brush. For the people who have good skin condition and who wants some enjoyment or change in makeup toll could try this. brush # 130. This product appears frequently in the magazine and this was in my wish list so i bought it. So I think the advertising cut me. 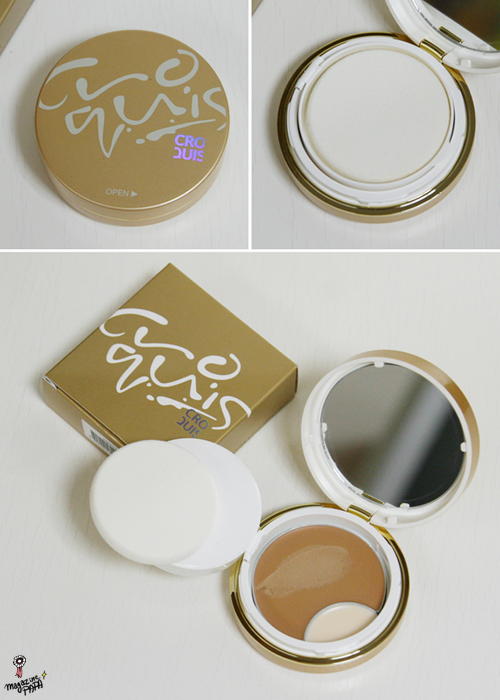 Cream compact is moisturizing for the whole day. Of course I didn't expect but just wanted to try out the cream compact on how it feels. When I tested on my face, it wasn't too moisturizing. According to different type of skin it is Semi matt finishing. However doesn't matter about the function of the product so I just went for the product because it was on my wish list. The case is much brighter than the picture. The case is in color silver with matt texture but I have to use it by wiping the case. The design didn't satisfy the cost. It looked like some kind of sample cosmetics. When the case is like a shining white like Dior would have been much prettier. When it is dropped on the floor it easily opens and sponge comes out rolling on the floor. I feel like I want to apologize. The case can be notice that dust or evaporation of moistures can be seen through eyes. Its not even powder foundation and putting the cream type of foundation in a twin cake case is not a good idea. It presents very rude manner in managing in managing the cream foundation. It is very easy for the dust to sit on. I have used it for less than two days and there are some dusts on them!. I have collect tiny furs on the winter clothes as well. It looks like that air can so~~ easily go in and out. I should use it quickly or give it to some one who wants to use it. In particular the Sponge is well made. Its really soft and jelly like. Chroci sponge is like dad's skin, Mac sponge is like mom's skin.... and Clinique is like baby's skin. When the sponge touches the skin it is very soft. So when I wash it won't be too tough. I don’t really like to wash the sponge.... and I usually use it for twice or so and throw them away. This makes me to spend much more money in purchasing the sponge. When I am using a Chanel product I have found some inexpensive sponge that goes into the case. The case of Chanel is smaller than others so it is hard to find a sponge that goes into the case. The problem is to fine the sponge that goes into Clinique case. The sponge costs 4,000won in the store. For me having to change them frequently it will need alot of money to replace those sponges. So my next challenge is to find the sponge that goes into the case. It won't be easy as the space of the sponge is too small. But I will try hard to find them. The brightest color is #01 ivory and this can't really cover the red blemishes or cover the marks so I bought #03 fresh beige color. Normally many Koreans pick this color, which it goes well with #04 cream beige and there is # 05 in neutral color. As I have said before it isn't definitely not moisturizing. It is just gives natural skin tone without lighting up the face. If you want to have some brightness apply some glitter base, blush, or highlighter. But applying with the soft sponge gives a feeling of moisturizing but it is just the short feeling while applying the product. My friends say that the coverage is so perfect by just looking at the magazine without even using them. I also found some information saying that it is moisturizing.... what kind of product did they use???. The coverage is mid low and I don't know why they are saying it is great. The control on amount of product is possible to apply very lightly or to cover it with mid average but no more than that. There is no darkening. The sun protection is SPF26/PA++which is the positive thing about this product. Protects from UVA AND UVB but as I have said before there is only little amount of this formula so can’t be rely on to it. However is better than other foundations containing no sun protection create or it is less than SPF 10. I only recommend to oily skin type.. Also have to give attention to moisturizing. In case of oily face type have to use the product very lightly. It is the base tone color so it applies lightly by covering some red blemishes making the skin look flawless. There is less brightness on the product so the person who has too much of yellow colors in their skin have to avoid using this. 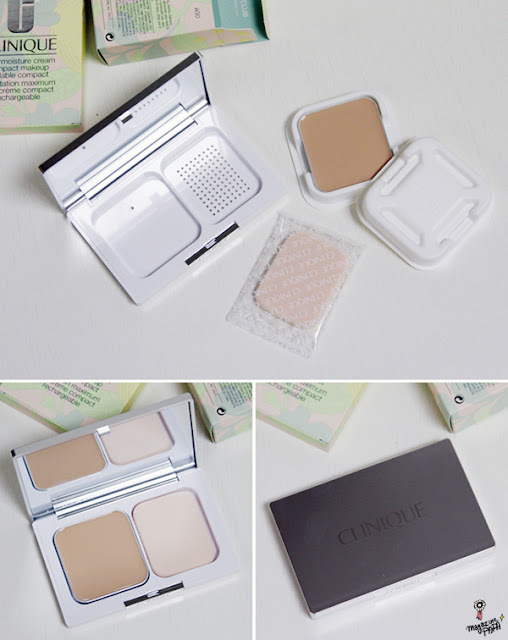 In the past there were several useful foundation product in Clinque so I was excited. But there was a disappointment. The price is too high including the case as well. All of these three products is not recommended to dry skin type. When oily skin type person uses Clinque feels drier than Croquis? 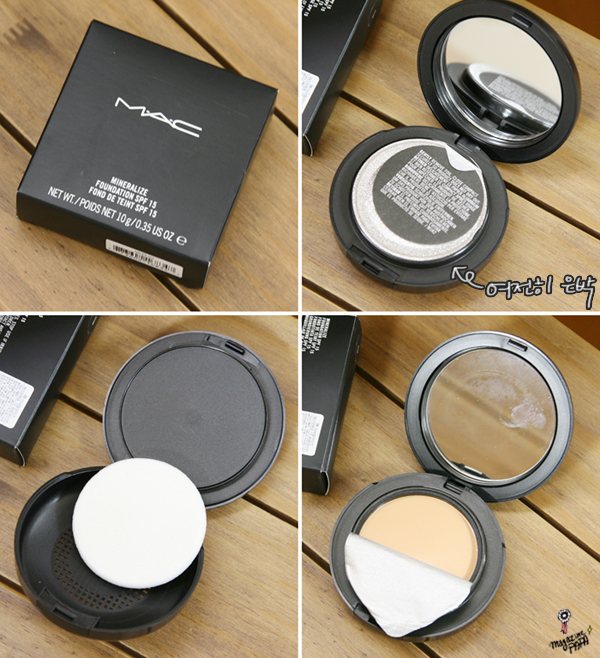 There is no darkening so can be used as cream compact for oily skin type. Even though their skin is oily people don't like using power compact, as there are some flying debris. So for those people I advise to use cream compact was it is more moisturizing and easy to do retouch. Clear some of the oils and spray some mist when is needed. The finishing would be matt but actually it doesn’t feel like matt. I am not a dry skin type but applying this product makes keratins to rise so I have to be extra careful in doing my fundamental makeup.